An all Salvi women panel happening at the country’s biggest literary festival!!! OMGGG!! It’s a true honor to present on this panel titled “Cultural Preservation Through Writing” at the LA Times Festival of Books 2019. I’ll be alongside the amazing Marty Preciado, Yesika Salgado and Karla T. Vasquez. L.A., I’ll see you soon!! See link for event info - requires a ticket! RSVP there. A year after my first art show ever in this space, I’m so proud to be showing all new pieces at Hardy & Nance Studios again. I created these original images for the “Buena Conmigo-Lotería Exhibtion”, organized by the East End Studio Gallery. The show is lotería themed so I put a Salvi spin on this classic latinx game. Sadly, I will not be able to attend in person but check out the show and see other great pieces. 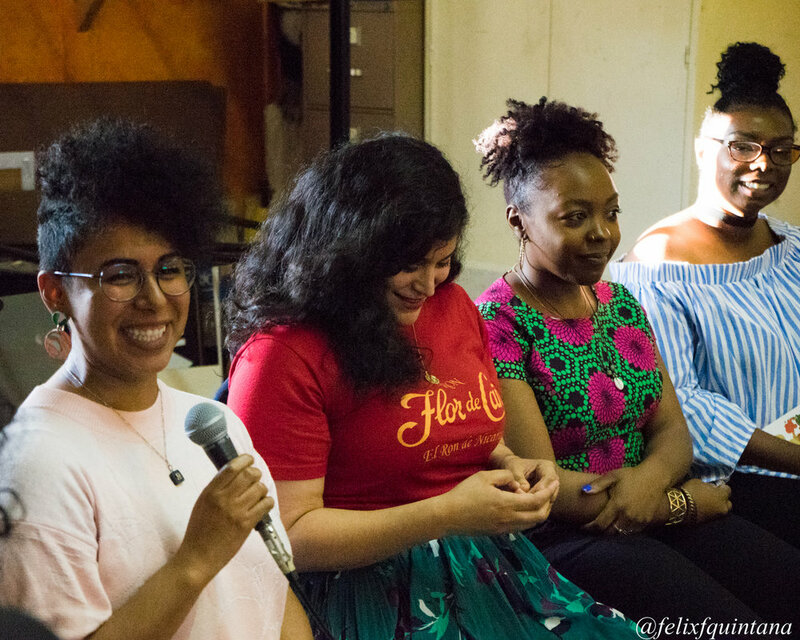 Houston, I was so happy to be part of this reading and discussion panel at Zine Fest Houston 2018. I sold copies of my zines and tiny zines at the event as well. Thank you Moe + Maria for the pics! Por la primera vez, pude leer mi poesía en persona en San Salvador, El Salvador. Estaba súper emocionada de poder compartir mis obras en mis tierras ancestrales. Gracias Janel, Alberto y el conjunto de Los Tacos de Paco por invitarme y todo el esfuerzo que hacen para promover la poesía en Centroamérica. For the first time ever, I did an in-person reading in San Salvador, El Salvador. I was super excited to share my work and to bring it all home! Thank you Janel, Alberto and the team at Los Tacos de Paco for inviting me and for all the amazing work y’all do for poetry in Central America. I spoke at this great event with a dear friend of mine, Sayre Quevedo. I was thrilled to share my experience with the college students. Join the Student Organization of Latinxs this Friday for one of our biggest events of the year: Orgullo Latinx! 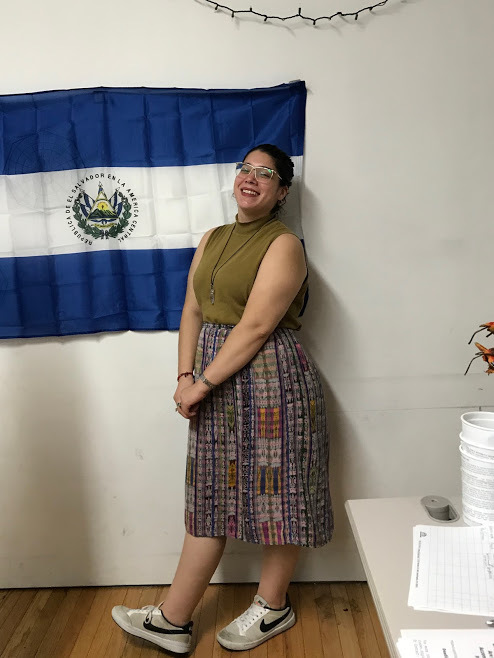 This year, we have decided to celebrate El Salvador through an evening of games, performances by Cáthia, traditional Salvadoran dishes like pupusas and empanadas de plátano, and an art showcase! We will also be hosting Yeiry Guevara and Sayre Quevedo as speakers, as well as Karen López (CC '18) as MC for the evening! Through this event, we hope to uplift Central American voices that are often excluded from conversations on Latinx identity and representation, migration, and US interventionism. 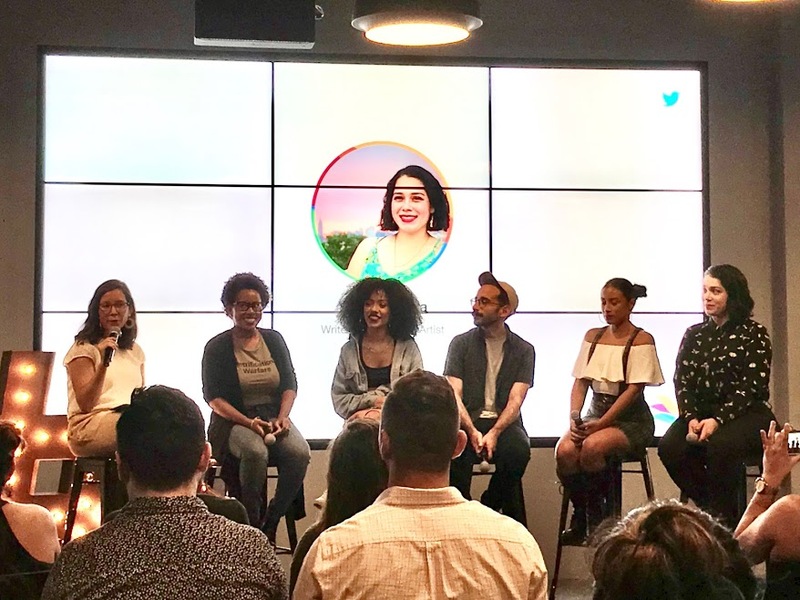 It was a real dream come true to be part of this talented panel discussing #Latinx Identity for Hispanic Heritage Month celebration, which took place at Twitter NYC. Thank you to Lauren of Twitter ALAS & Janel of Ain’t I Latina for organizing this amazing event. Free and open to the public! RSVP here. Check out event photos below. Antidote Books turned 1 year old! In the past year, the owners and my dear friends Ruth and Jeremy, have worked endlessly to create a communal space for literature in Putney, VT. To celebrate this achievement, Antidote Books hosted a day full of fun events at the store. It's a joy to see their efforts thrive in the community and a big honor to celebrate with them. I hosted my workshop titled "Intergenerational Trauma + The Creative Process" which details the production of "Vos Cipota", my zine based on intergenerational trauma. Antidote Books would not exist were it not for the support, belief and inspiration of our community. 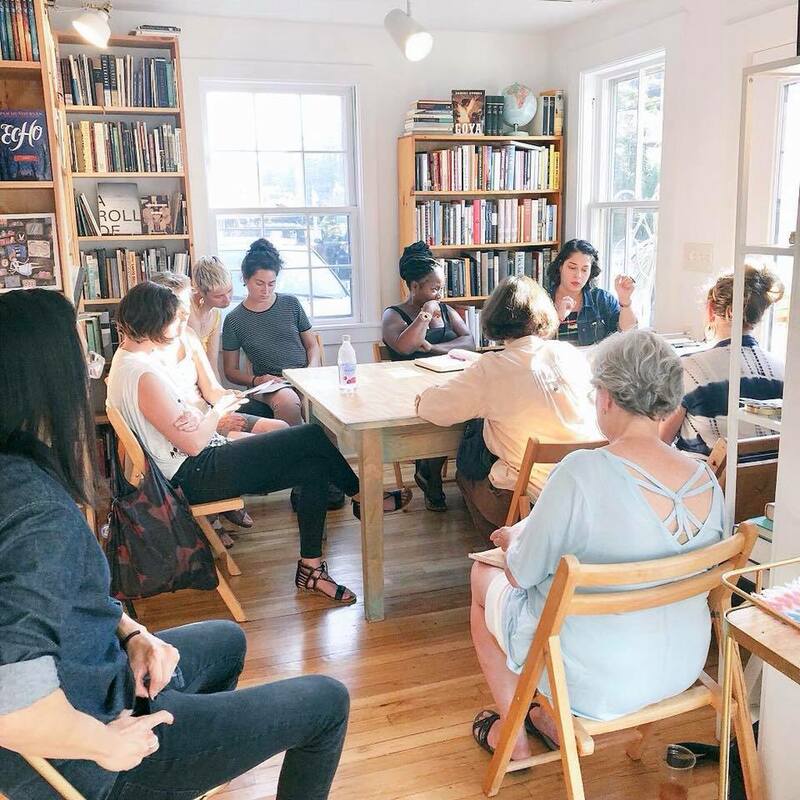 To anyone who has ever shopped at Antidote, attended one of our events, taught a workshop, or read their work at our bookshop, we express our immense gratitude. Join us for this celebratory event with cake, raffle and refreshments! 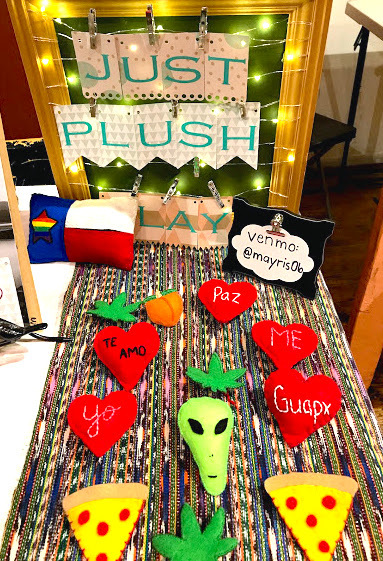 10% of our one year anniversary event proceeds will go to Community Asylum Seekers Project VT.
Yeiry Guevara is a first-generation Salvadoran whose work seeks to create representation and visibility for communities of color. After releasing her zine “Vos Cipota,” she saw the need from her community to have conversations about intergenerational healing. In the interactive workshop titled Intergenerational Trauma + Creativity, Yeiry will share what she learned in the production of “Vos Cipota” by breaking down her process: how to “know” what you don’t know, how to hold space for deep conversation with parents/elders, how to take care of yourself when you do get into the deep end of learning your history, and the role of self-care. 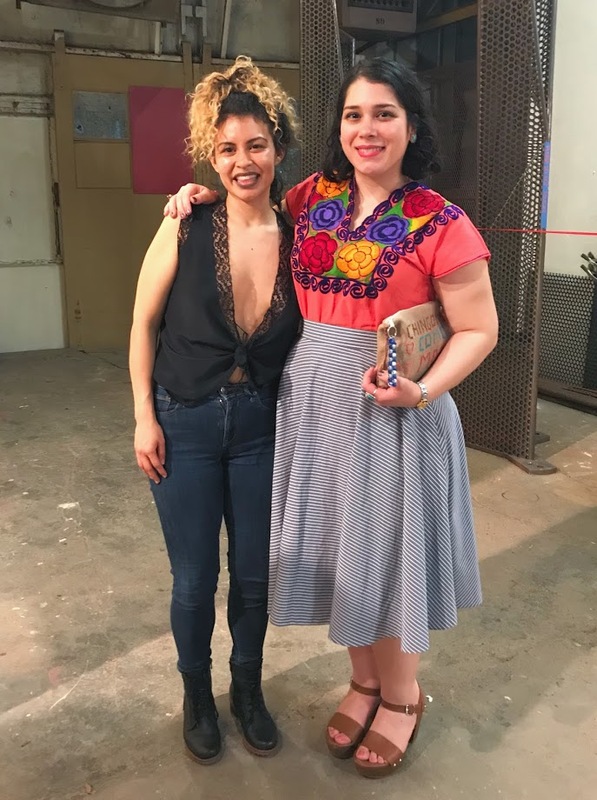 I'm a huge fan of St. Sucia and I was so honored to have shared a magical evening with a number of talented poets on Monday, May 28, 2018 at Kaleidoscope Kollective. Lots of happy tears and beautiful words were exchanged. Thank you all who attended!! L.A. Zine Fest took place on May 27, 2018 at the Pasadena Convention Center. Poster designed by Rich of Originals Por Vida. For the first time ever, I took my art to the West Coast. 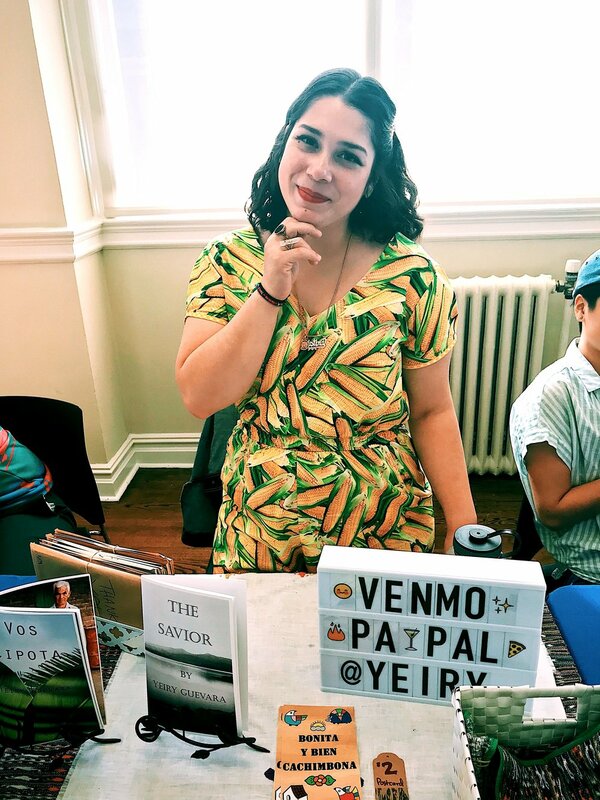 I was a proud vendor at the 7th Annual L.A. Zine Fest on May 27, 2018. It was a dream come true to share my work with the L.A. community. 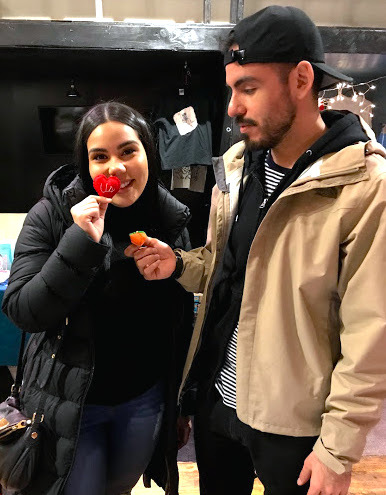 I met some of my favorite creators from around the country such as St. Sucia, Breena Nuñez Peralta, Frijolera Press, Brown and Proud Press who also vended at the festival. Check out the exhibitor list here. Plus, I gave a workshop on the creative process behind my zine "Vos Cipota" during the festival. 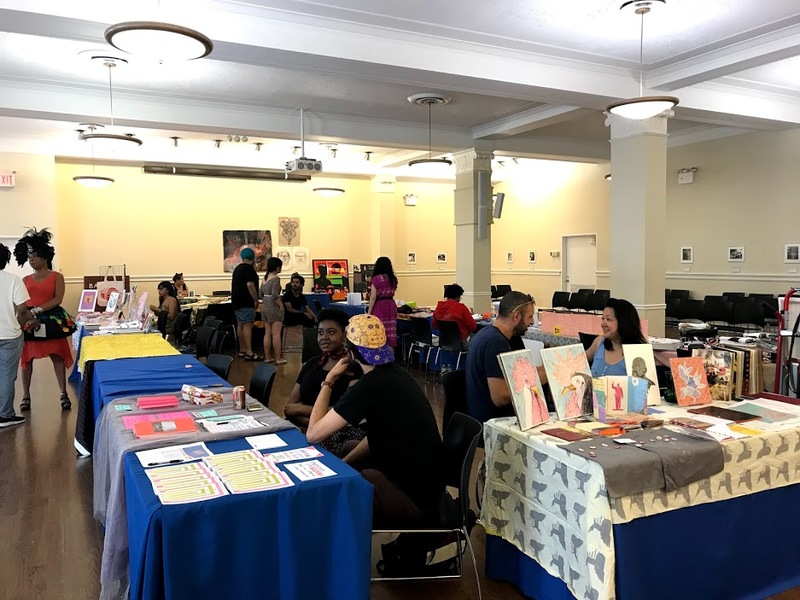 This year's Fest will feature 200 zinesters, writers, illustrators, comix creators, photographers, and more—selling, trading and sharing their work, and celebrating self-publishing and DIY culture in the community. Free admission! Shoutout to the GOAT @SheaSerrano for the boost of confidence & support! Just pulled a @SheaSerrano and finally shot my shot: I applied to vend at @LAZineFest in May 2018. Taking my #zine art to the west coast would be a dream! Keep y'all posted with what happens. 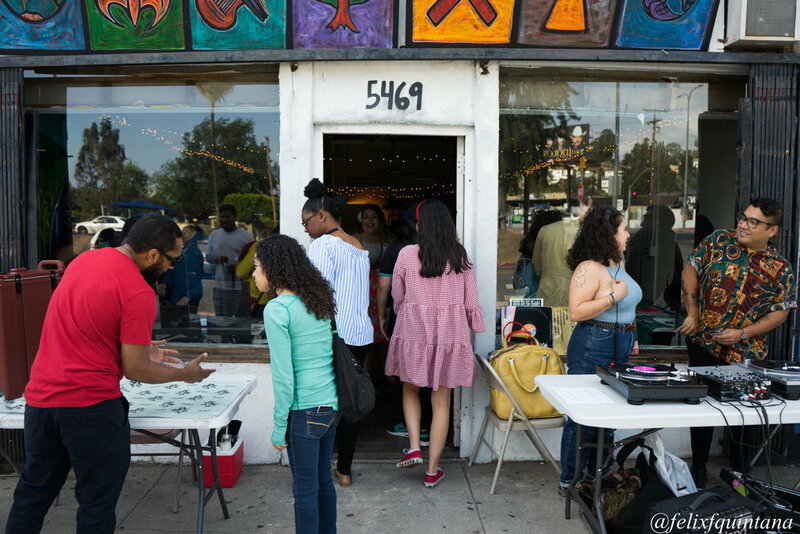 Los Angeles, you came through on Saturday 5/26 to talk all things Central American. I’m so proud to have been an organizer and presenter alongside such a great panel. It was like #CentralAmericanTwitter, but in IN REAL LIFE! Truly, a monumental evening where stories were exchanged and inspiration swam heavy in the room. Thank you all who attended! Attention L.A.! 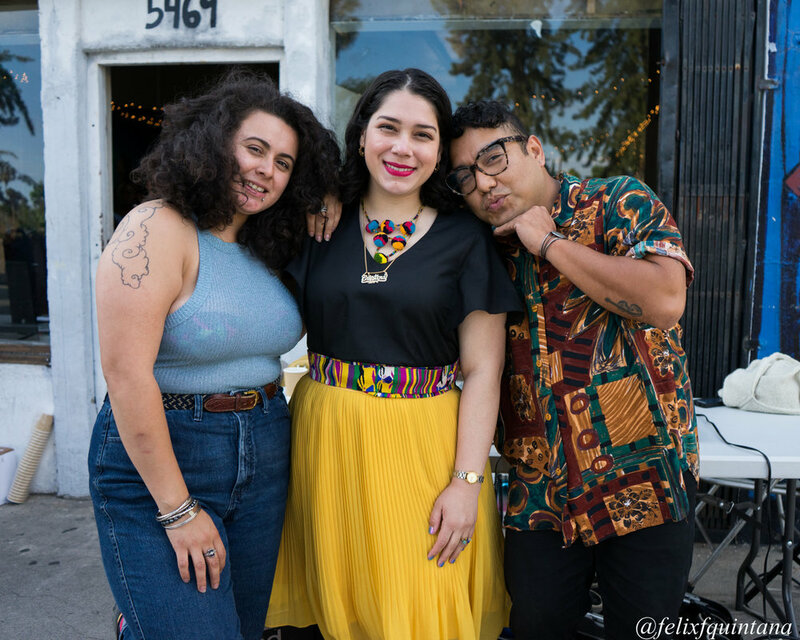 Come and meet talented Central American creatives & storytellers! 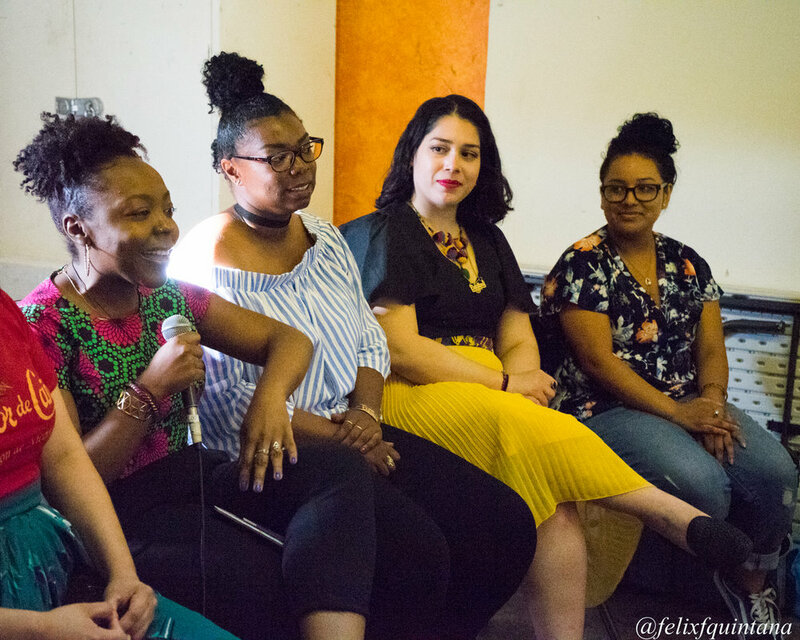 Utilizing a wide variety of media--ranging from music, comics, zines, art curation, and academic research--each featured panelist utilizes their platform(s) to speak and amplify the stories of their respective communities. Moreover, they represent the strength, resilience, and diverse beauty of the Central American isthmus. 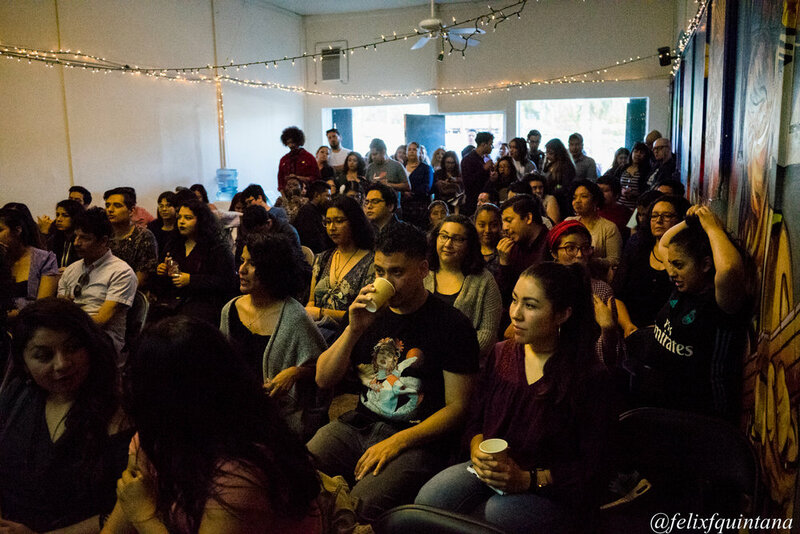 Special thanks to Angela Flores and the Collective from Eastside Cafe for generously providing the space to host this event. Shoutout to Patria Coffee for providing refreshments and to VCHOS Food Truck for their yummy food. Also, much gratitude to Zaira Miluska, Wendy Rodriguez, Yeiry Guevara, Brigette Lugo, Gloria Figueroa, and Victor Interiano for organizing this event. Event Images below graciously captured by Felix Quintana. Thank You L.A. for Coming Out! Thank you all for a captivating evening! VHS Presents: Family, a screening of personal video archives. May, you're too kind to me! Here's to another first: I did my first performance on May 19, 2018. Super excited to be part of the VHS Presents series at Videology, hosted by my wonderful friend Angel Yau and Ross Brunetti. I showed a montage of home movies from 1997. Tons of cute lil Yeiry, see gif for example. THIS MONTH we will be screening videos of our past that highlight our families in all their weird, beautiful, loving, cringey glory. Whether they showered us with embarrassing affection or discouraged (and ultimately inspired!) us through their own repressed problems, we have the videos to prove why we became the people that we are. Come laugh with us at our ridiculous families! Each month we bring together some of the best comedians and performers in NYC to show you the videos they made in their embarrassing adolescence. We’ve seen school projects, Tarentino knock offs, PSAs, high school musicals, and many other ways that children embarrass themselves before they become adults that embarrass themselves on stage purposefully. Event Flyer for Shadow Beast: Creating Sin Vergüenza, an art exhibition and mercado in San Antonio, TX on May 17, 2018. I'm so thrilled to be part this art exhibition in Texas! Gloria Anzaldúa's work played a fundamental role in my formative years. Although I will be unable to attend the event in person, I am so proud to be part of an art show which honors her legacy. Show Opening: Thursday, May 17, 2018 at 6 p.m. This event is sponsored and hosted by The Society for the Study of Gloria E. Anzaldúa (SSGA) and Trinity University in San Antonio, Texas. 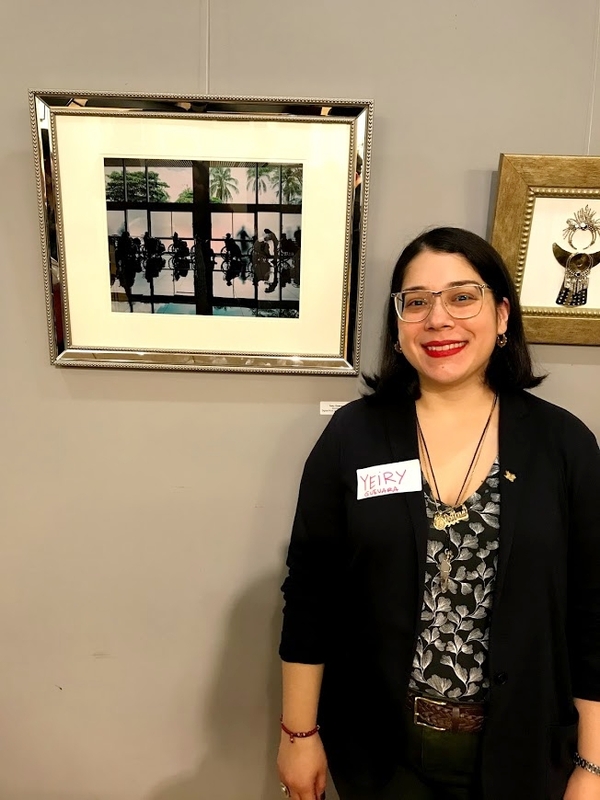 I'm so proud to have been part of this group exhibition titled El Chow: Fruto en Vaina held in El Rincón Social in Houston, Texas on March 24th, 2018. 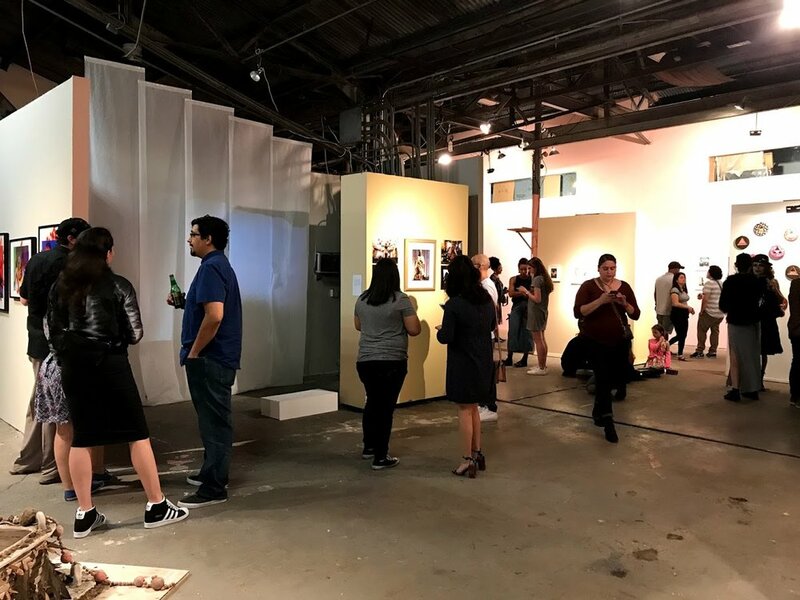 El Rincón Social is pleased to present El Chow: Fruto en Vaina, a group exhibition featuring multidisciplinary and multimedia works from 20 Houston-based artists that share an affinity for Latinx cultural traditions and examine their hybrid mentalities as women and queer people of color. El Chow, the second curatorial initiative spearheaded by curator Maureen Penders, runs from March 24, 2018 - April 6th, 2018, with an opening reception for the public on Saturday, March 24 from 7 PM to 1 AM. There will be an Artists Talk Wednesday April 11th, 2018. El Chow: Fruto en vaina is a participating exhibition in the 2018 FotoFest Biennial. 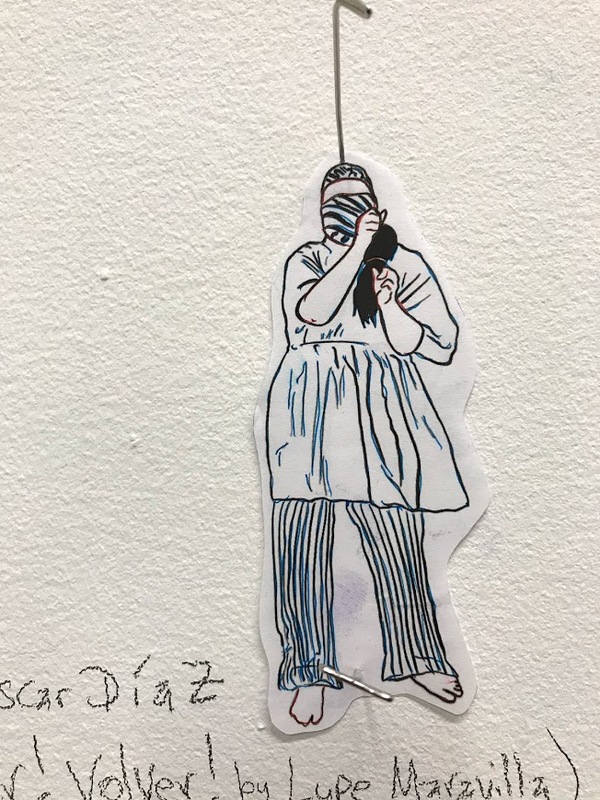 The presented artists/artworks investigate the complex nature of the emerging Latinx identity through themes of mysticism, immortality, transnational relations, communal healing, representation, visibility, among other topics. For some of the artists in particular, El Chow includes a study of gender and of belonging. These artist’s work operate beyond the confines of the readily accepted social, cultural and gender norms. Big thanks to Moe for curating this show, all the amazing artists who participated and thrive. Also, shout out to my wonderful family and friends who came and supported my work. Mucho love! "Viva La Mujer" Art Show curated by De Colores Collective on March 9, 2018 at the Oak Cliff Cultural Center in Dallas, TX. 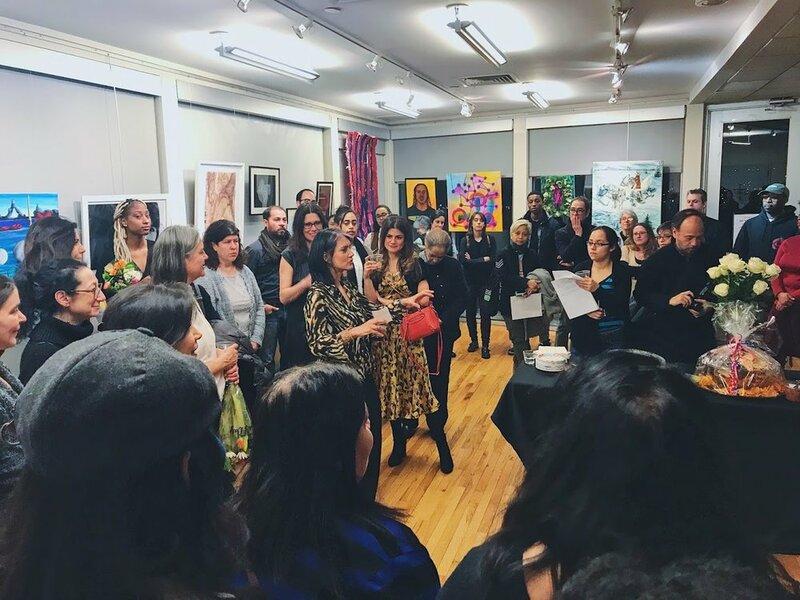 The wonderful team of De Colores Collective organized an art show titled "Viva La Mujer" for International Women's Day on March 9, 2018. I proudly displayed two of my pieces for the show which took place at the Oak Cliff Cultural Center in Dallas, TX. Although I was not able to attend the show in person, I am super grateful for Pat and all her effort towards showing my work in Dallas. Thank you Pat, Eva and Rafa for all the magic your collective creates! Join us for our first GREY SPACE of 2018, iViva La Mujer! 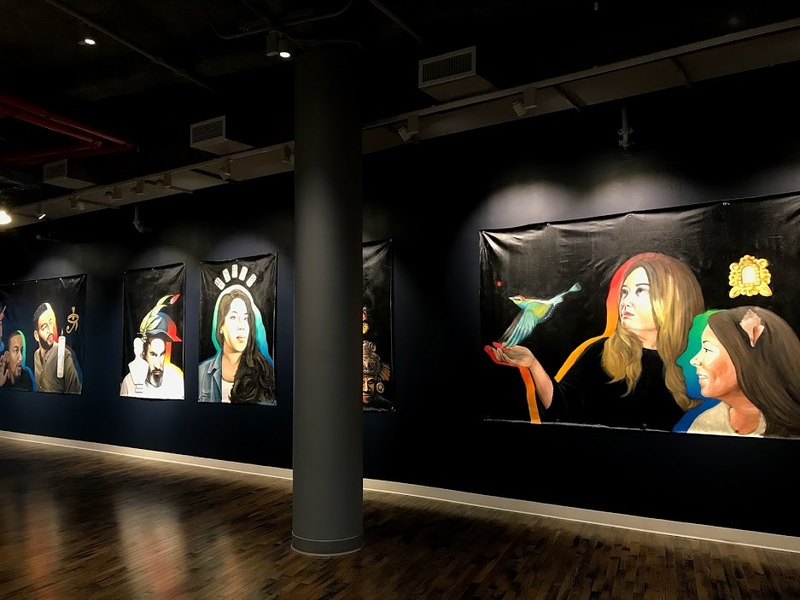 Stop by the Oak Cliff Cultural Center for an exhibition that focuses on celebrating womanhood and femininity. This show will include work by various artists in different mediums. This event is family friendly, free, and open to the public. The Cura(Collected) was a wonderful collection where my piece was alongside other amazing Salvadoran artists in a vessel. Final performances for the series were on December 3, 2017. The exhibition officially closes on December 17, 2017. About The Show: Knockdown Center is pleased to present the third rendition of Cura(Collected), an exhibition series that centers artists who curate. This edition features a collaborative project by Anjuli Rathod, Eduardo Restrepo Castaño, Oscar Moises Diaz with an accompanying essay by manuel arturo abreu. All three are creators whose involvement in the artistic community has had a generative impact on their local art scenes, and for this occasion each artist has brought in collaborators and community for a series of ongoing, cumulative performances and actions that will take place within an architectural structure inside of the gallery each week. 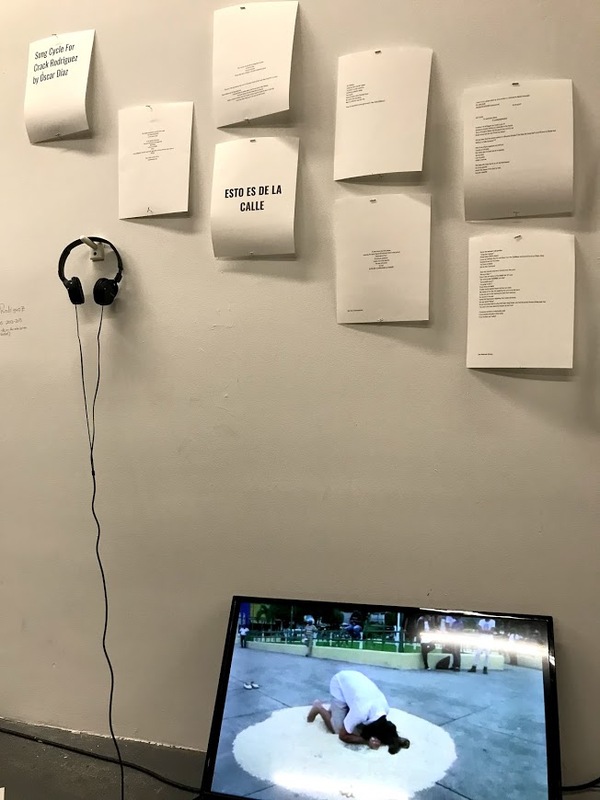 A collaboration by Anjuli Rathod, Eduardo Restrepo Castaño, Oscar Moises Diaz and accompanying text by manuel arturo abreu. Thank you to Moises for inviting me to be part of the show. Shoutout to all the Salvi artists who shine brightly with their work. Event images are below.